This week we have a big new beginning in your personal finances. If you’ve been secretly looking for a new job or seeking a raise at work, then this is the week to push forward with your goals. Good fortune is filling your bank account but money can leave just as fast. Something brought to your attention a couple of weeks ago will suddenly become real. With so much energy coming from you right now it’s difficult to imagine anything could go wrong. Be alert for sudden changes this week. 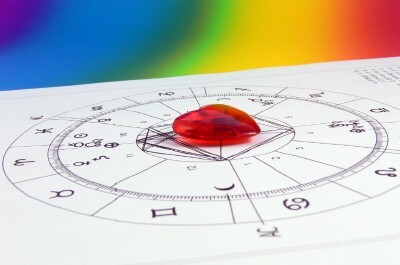 Yes, there’s a calm and sensual Taurus vibe in the air but a light is going to expose something about you. Be prepared but don’t let it spoil all of the good you’re receiving. As difficult as it may seem, try to keep quiet and out of trouble. With all of the activities in your astro-12th sector of hidden enemies, mental health, and illusions it’s possible that you have fallen into a spell. Ready or not, this week will wake you up a bit. Take a break and lie low for a while. It looks like this is the week to find out who your friends really are. You may have been in the doldrums lately but there’s no reason to worry. It might look difficult but there is a lot of help available. Keep to your plan and stay social. A surprise love is waiting at a social gathering. If you’re in line for a promotion, you just might get it. The efforts you’ve been putting into your studies have paid off and the office is taking notice. Something will change this week. Don’t worry but keep your eyes open for all career opportunities. This is a week to expand your mind. Love has been banging on the door for a while and you just can’t figure out how to let it in. You do need more information so talk it out and stay in there until you have your very clear and definite answers. A financial partnership can deepen at a moment’s notice. Saturn is bringing a heavy dose of reality to your personal finances. It looks like everyone wants to play and you’re just being careful. As a suspicious Scorpio I don’t blame you. But.. did you know that Libra is a cardinal sign? This means that although your mind is alive with a world of beautiful possibilities, you are also the energy that gets everything started. This week ushers in something you’ve been waiting for. Don’t worry but.. just like Taurus it’s difficult to imagine anything going wrong with your relationships right now but be prepared. This is a week where people’s hidden selves will be partially revealed. It’s up to you to decide what to do next. I know your mind has been on some kind of dreamy field trip but it’s now time to wake up. Use the stable Taurus energy to stay calm and loving. Be careful at the gym. You’ve been training had to get back in shape for the summer but watch that you don’t overdo it. It’s still a busy time of daily grind. Make the most of it. The New Moon brings a new opportunity. This a week where your primal urges will be out on display. You want to be the center of attention and why not? Get creative and have some fun. If you plan everything correctly, you’ll even find love waiting for you somewhere in the center of the action. Luck is favoring a return to the gym. The energy this week seems to focus itself in your home life. The renovations or “fix it up” ideas might suddenly be forced upon you. It’s also an interesting time to think of moving. It might sound a little gloomy but the changes will lead to a beautiful new beginning that you’ve been hoping for. This week you will be busy running around and catching up. You might feel overwhelmed so take a lot of breaks. The love energy is concentrating but it’s also a time for a new beginning. Take everything you’ve been doing and bring it all up a level. This entry was posted in Sonny's Youtube Horoscopes! and tagged free horoscopes, love horoscopes, weekly horoscopes by sonny. Bookmark the permalink.